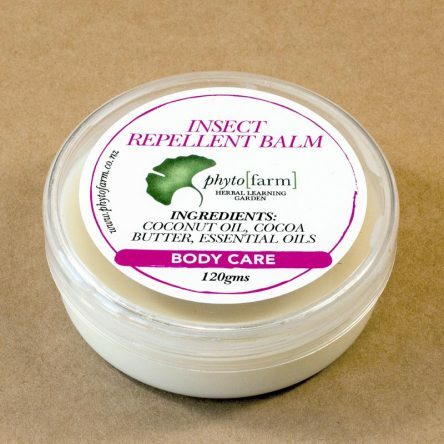 Coconut oil is used as the base in this insect repellent balm in combination with specific essential oils that are a deterrent to insects. It is made from natural ingredients and is pleasant to apply to the face, around the hair line, down the neck, on wrists and around the ankles. If you happen to get an insect bite on an unprotected area, use the skin healing gel, to cool the bite and reduce inflammation.